Bill began his career in the automotive industry in 1990, as a lot attendant, moved into the reconditioning department, and then quickly up the staff chart to reconditioning manager. With a change in his employer’s operations, in 1998, Bill took the initiative to start Professional Car Care, which today serves more than 40 dealerships in New Hampshire and Massachusetts. Since its founding, Bill has seen the Pro Car Care team grow, evolve, and flourish. He spends many hours with staff and management, instilling his expertise, pride of product, and dedication to superior customer service at every level. With Bill’s guidance, the Professional Car Care team has gained an industry-leading reputation for staying ahead of the curve in order to provide exceptional reconditioning services, resulting in unparalleled client satisfaction. Though PCC is a priority for Bill, so is staying involved in the local community. Time and money given to organizations that include the American Red Cross, Nashua Soup Kitchen & Shelter, and Children’s Hospital of Dartmouth keeps the company connected and allows Bill to share his good fortune. During his time off, Bill enjoys family life, and particularly loves watching his two children involved in school sports and extracurricular activities. 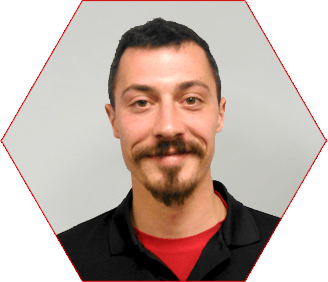 Dan joined the Professional Car Care team in 2003, after starting his career working at a car wash, then in the reconditioning departments at dealerships in Nashua NH. Through hard work, and by learning specialized exterior techniques, Dan rose through the PCC ranks. He has several certifications, and an area of expertise in exterior appearance – he has often been called on for attention to important client vehicles, especially those in dark colors or black, which easily reveal flaws. Dan makes sure there are no mistakes. 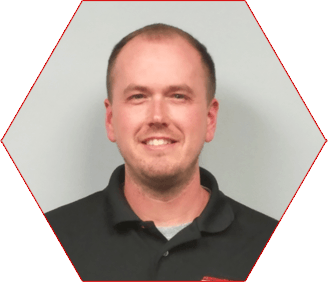 Dan enjoys implementing technology into the PCC work flow, allowing him more time with his team and to building relationships with his growing customer base. He also strives to keep up with changing technology. On his personal time, Dan is a family man who enjoys watching and playing sports and hiking a variety of terrain with his wife and young son, and has also been learning to code. 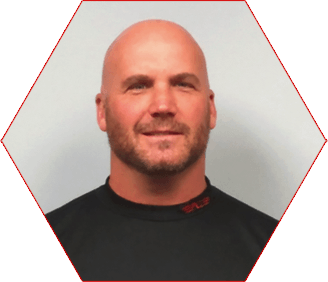 Jeff has more than twenty years of experience in the reconditioning industry, and joined Professional Car Care in 2003, when the company took on the dealership he worked for as a contract client. Jeff’s responsibilities now include researching and integrating improved reconditioning products and processes into the PCC menu of services. His efforts to stay on top of the latest technologies assures that all Pro Car Care teams always provide the highest level of service, quality, and workmanship. In addition to his other skills, Jeff is certified in several areas, including application of ceramic coatings, a service that resulted from his research. His knowledge both strengthens customer relationships and garners respect from his team. Jeff, with his wife, helps manage a substantial family in his personal time, with six children to look after. He enjoys outdoor activities and sports with his family, and volunteers time to youth baseball in his hometown of Hudson NH. Sammy Rodrigues arrived here in the States from Brazil, in 2006, and when he discovered auto reconditioning, he knew he had found his true passion. Starting work with a franchise competitor, Sammy quickly attained the management ranks, and became a franchise owner in 2009. Contacted by Bill Patenaude in 2013, as dealership/vendor relationships in Massachusetts reset, Sammy was attracted to Professional Car Care’s way of doing business and joined our team. Sammy’s success with Pro Car Care was also rapid – he rose to senior management in just three years. He is the company’s expert for windshield chip repair, and is also certified for the application of protective products to all interior surface materials and ceramic coatings for paint. Away from work, actively supporting his wife and three lovely young daughters keeps Sammy grounded and very busy. He also enjoys playing soccer and cooking up Brazilian barbeque for family and friends. Starting at entry level with no prior experience, Mark soon became so proficient at many of our most critical processes that he was assigned to work at luxury car client locations. He moved into the Professional Car Care management team in 2013. His love of the process and enjoyment of seeing his team flourish and grow has made Mark a respected leader. He now trains the processes he became expert at performing and is still PCC’s “go to” guy for decaling, able to unfailingly apply them properly. Mark is a responsible, loving spouse, a dedicated father and enjoys bowling, camping, tubing down the Saco River, barbeques, hiking, and snowboarding. 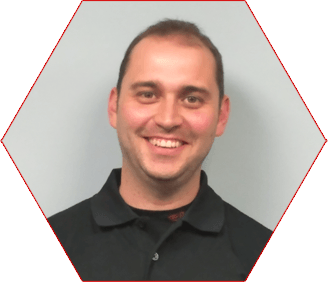 Anthony joined Pro Car Care in 2006, after running the reconditioning department at a Saab dealership for more than ten years, and he shares the same passion for the reconditioning industry as PCC owner Bill Patenaude. Anthony’s work ethic, dedication and ability to multi-task earned him a spot on the PCC management team in 2013. His greatest reward is the end result, when a vehicle looks like new again. Outside of work, Anthony enjoys a variety of hobbies, including mountain biking, fishing, mudding, and racing go-karts. He especially loves spending time with his son and daughter, and vacationing with extended family in Florida. 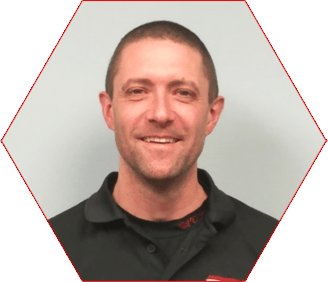 Eric persistently pursued employment with Pro Car Care while working in a dealership recon department, and after he joined our team, in 2009, his former employer soon signed on as a PCC customer, a win all around. 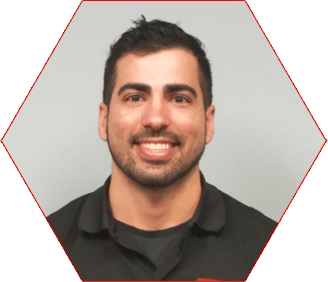 Eric quickly became one of our “go-to” detailers, specializing in exteriors and paint correction, and worked at many client locations, cultivating relationships along the way, and earning a reputation of great work quality with a great attitude. 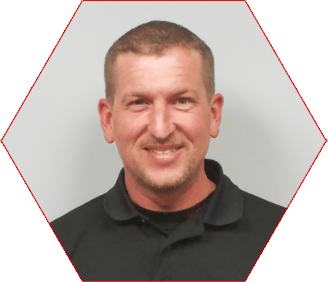 Those attributes and Eric’s dedication to meeting PCC’s high standards in a timely fashion led him to a senior detailer’s position at one of our key client locations, then to our management team as a site supervisor, and now as a field manager. Ronie transitioned from the fast pace of a restaurant kitchen to the automotive detailing industry with the hope of learning a new trade. 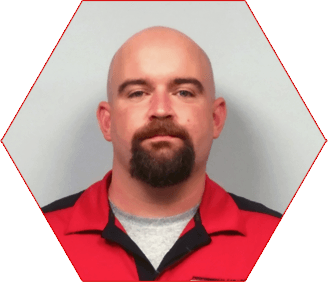 Since joining Professional Car Care, in 2016, he has been moving up the organizational chart. Working hard and dedicating himself to product knowledge and the highest standards of customer satisfaction serve Ronie well. He adds that his love of cars, teamwork, and a passion for results enhance his ability to grow and build solid relationships with his unit and customer base. When not working Ronie enjoys time with his spouse and gathering with friends, and his restaurant kitchen skills can still be counted on to produce a memorable meal. Barbara joined the Pro Car Care team in 2008, providing outsourced payroll, AR/AP, bookkeeping and business services. 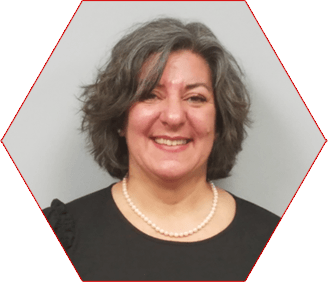 As the company’s growth accelerated, Barbara took on more and more responsibilities until, in 2013, she became PCC’s full-time Office Manager. Barbara’s responsibilities now additionally include marketing and human resources. She is the first point of contact for new PCC clients, executes all agreements, and leads dealership principals and managers through the onboarding process. On the HR side, she oversees employee communications, time management, work flow and team building. Barbara very much enjoys being an integral member of the Pro Car Care team and feels most fortunate to be part of the company’s continuing growth. When off work, Barbara is an avid gardener, reader, cyclist, and ballroom dancer. She also immensely enjoys spending time with her husband and four grown children, cooking, chatting, and entertaining.